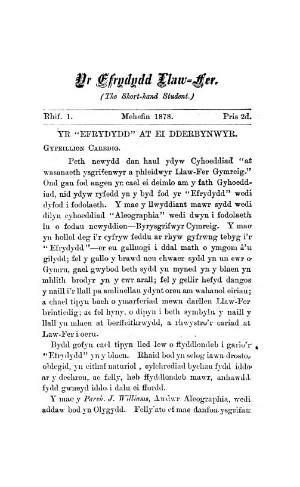 A quarterly Welsh language periodical intended for the members of the Aleographic Society. The periodical's main contents were articles on shorthand writing, reports from shorthand classes and competitions. The periodical was edited by James Williams.